You never know what you'll find hidden around the store. Stop by and stay a while. Items arrive daily! ARE YOU READY TO UP YOUR FASHION GAME? Stop by, say hi and stay a while. We would LOVE to see you! 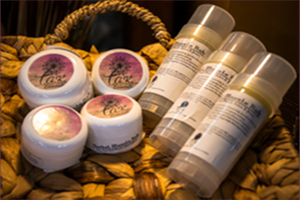 We also carry a great selection of local artisan creations and gifts. 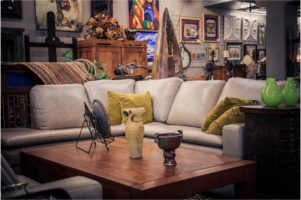 Located in Longmont, CO., Simply Home is a new kind of marketplace for pre-owned highend home furnishings, decor, womens clothing, small amounts of mens apparel, shoes, handbags, and jewelry. 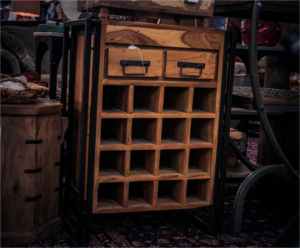 We provide a unique opportunity for shoppers to gain access to exclusive brands, to-the-trade only pieces, fine furniture, with some unique vintage and antique finds in the mix. All conveniently available in our physical location or our online presence. Our inventory changes daily, so shopping with us is always a unique experience, with unexpected discoveries. We also offer a wide selection of new custom design pieces, local artisian work and unbelieveable gifts. We have an ever-revolving inventory of fun and functional furniture and accessories in a relaxed and easy to shop atmosphere. We are a spectrum of design styles from modern with vintage, eclectic with traditional, funky with formal and everything in between. You'll never know what you'll find behind our doors! 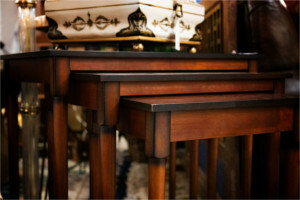 Our philosophy is to provide creative local consumers with unique, well-made, long-lasting and reasonably priced pieces of furniture so they can design their own spaces in a meaningful way. We would love to be your creative resource and have a passion for listening and understanding your needs. We are NOT your ordinary resale shop! 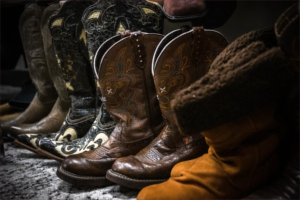 Our 5,400 square foot showroom in Longmont, CO. is open to the public 6-days a week. 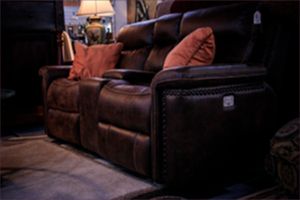 We specialize in selling pre-owned furniture, decor, art, clothing, accessories, and jewelry. SO, STOP - SHOP - SAVE!! We have a great variety and selection of clean pre-owned and NEW items. SEEING IS BELIEVING! Our huge inventory changes daily. 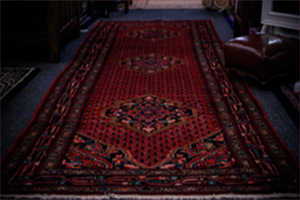 So, whether it's a Family Room, Kitchen, Bedroom or Patio, our courteous staff is ready to assist your personal needs! PRACTICAL & DEPENDABLE! We are a NEW alternative to shopping PRE-OWNED and a SMART alternative when shopping NEW. 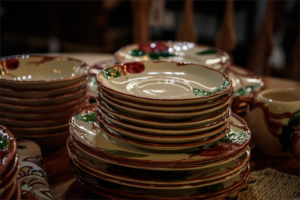 Many people hear the word "consignment shop" and think "thrift store" with used clothes, old antiques and forgotten collectibles. Although there are many places that resemble this kind of shopping experience, many consignment shops can be very upscale environments that shoppers can visit to purchase high-end, brand name, current and desirable items at incredible discounts! Most upscale consignment shops only accept "like new" merchandise that is in excellent condition. 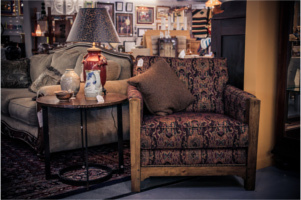 Consignment shoppers can often find great value in unique furnishings, expensive lighting, lavish area rugs, beautiful home decor, clothing, accessories and even jewelry. Glass Top Teak Desk 48"x30"x28.5"